ZICO > Blog > Law > Are Foreign Residential Vietnam Property Buyers in Jeopardy? Are Foreign Residential Vietnam Property Buyers in Jeopardy? David Lim, Managing Partner at ZICO Law Vietnam, raised the issue of residential housing law developments for discussion at the Mid-Term Vietnam Business Forum on 16 June 2017 in the attendance of HE Vuong Ding Hue, Deputy Prime Minister. 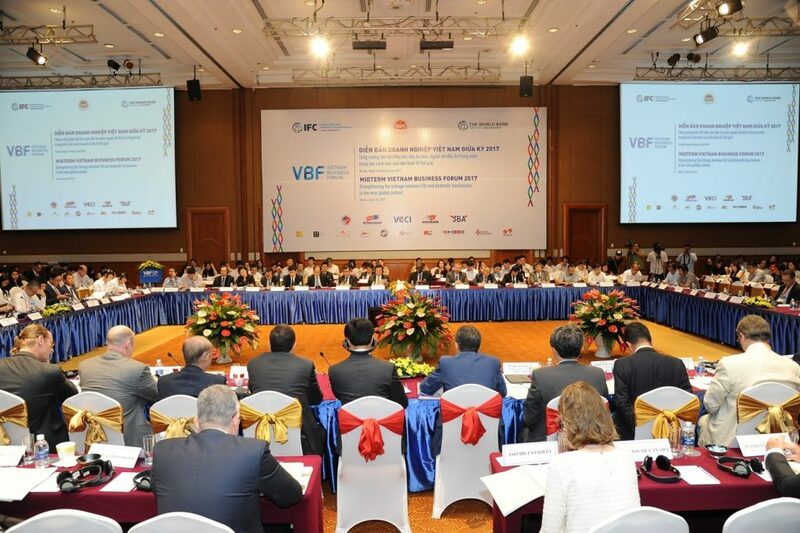 The Vietnam Business Forum was established in 1997 as a not-for-profit, non-political channel for nurturing public-private dialogue to develop a favourable business environment that attracts domestic and foreign private sector investment and stimulates sustainable economic development in Vietnam. The Mid-Term provides a platform to engage in high-level, public-private policy dialogue with key decision-makers in the Government with a focus on the impact of global policies on investment in Vietnam, including efficiency enhancement regarding the implementation of current laws. 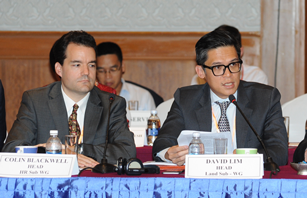 Photo: David Lim (right), Head of the Land Sub Working Group, Vietnam Business Forum, 16 June 2017. Photo: Midterm Vietnam Business Forum 2017, Hanoi, 16 June 2017. In November 2014, the National Assembly passed both the Law on Residential Housing and Law on Real Estate Business. One of the significant changes was to allow foreigners to buy apartments and landed property subject to a maximum of 30% of an apartment building and 10% of properties in a local ward area for landed property; changes that came into effect 1 July 2015. This was very well received at the time and indicated a new confidence in the Vietnamese real estate sector to compete with other regional markets. Following the implementation of the new Law on Residential Housing, foreigners bought property more aggressively hoping to participate in Vietnam’s exciting growth story. However recently, there have been reports of setbacks in the issuances of land use right certificates arising from delays in actions from various regulatory bodies. Ultimately, these certificates are made available to foreign buyers only after a chain of events which begins with the ministries of Defence and Public Security instructing on areas marked as important for national defence and security purposes, and culminates with the Department of Construction (DoC) maintaining a list of residential developments where foreigners are not permitted to own houses. There are reports that the DoC has not issued the required list but the reasons for such delay are unclear. During the Mid-Term Vietnam Business Forum, the representative for the Ministry of Construction (MoC) responded that while the implementation has experienced some delays, the intention is certainly to push forward. The representative also confirmed that the relevant authorities have been instructed and are in the process of taking necessary action to deal with this issue. Foreign buyers should take comfort that this matter is clearly getting the right attention within the relevant ministries. We can expect therefore that the outstanding land use rights certificates will be issued accordingly. Since the issuance of the new Law on Residential Housing, developers have been restricted to the funding sources set out in Article 69 of the Law on Residential Housing. This means that under the new law, such developers can no longer raise development capital from certain offshore sources e.g., foreign banks and foreign shareholders. In short, in Vietnam, only loans from Vietnamese financial institutions are allowed. This has severely limited residential developers from exploiting other, often more economical sources of capital from elsewhere. This issue had been raised for discussion on various occasions in the past, and in the official letter of the MoC dated 28 February 2017, the Ministry commented that it would propose an amendment to the Law on Residential Housing at an appropriate time. A request was made that this amendment be prioritized so as to add clarity for developers. Another point that was discussed was the issue of overlapping and complicated licensing procedures including the issuance of the investment registration certificate, the investment in-principle approval and the investment in-principle decision which are issued under various conditions but subject to similar requirements. A suggestion was made that these overlapping approvals be consolidated, where appropriate. For inquiries on the residential housing laws in Vietnam, please contact David Lim.